There are several noteworthy features of these very exact descriptions of Rabinow’s purposes. The work is ethnographic; it proceeds through careful observation, interaction, and documentation of the intentionality and practices of the participants in the process. It is focused on actors of different kinds — scientists, lab technicians, lawyers, business executives, and others — whose interests, practices, and goals are distinctly different from each others’. It is interested in accounting for how the “object” (PCR) came about, without any implication of technological or scientific inevitability. It highlights both contingency and heterogeneity in the process. The process of invention and development was a meandering one (contingency) and it involved a large group of heterogeneous influences (scientific, cultural, economic, …). Legal issues come into this account because the fundamental question — what is PCR and who invented it? — cannot be answered in narrowly technical or scientific terms. Instead, it was necessary to go through a process of practical bench-based development and patent law to finally be able to answer both questions. A key part of Rabinow’s ethnographic finding is that the social configuration and setting of the Cetus laboratory was itself a key part of the process leading to successful development of PCR. The fact of hierarchy in traditional scientific research spaces (universities) is common — senior scientists at the top, junior technicians at the bottom. But Cetus had developed a local culture that was relatively un-hierarchical, and Rabinow believes this cultural feature was crucial to the success of the undertaking. 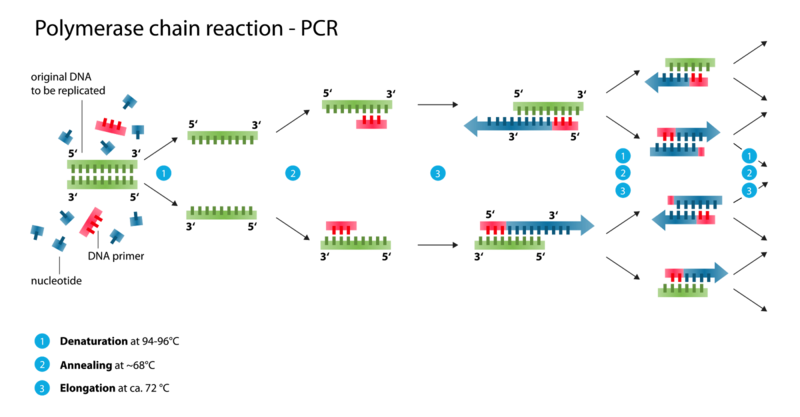 A critical part of the successful development of PCR techniques in Rabinow’s account was the highly skilled bench work of a group of lab technicians within the company (116 ff.). Ph.D. scientists and non-Ph.D. lab technicians collaborated well throughout the extended period during which the chemistry of PCR needed to be perfected; and Rabinow’s suggestion is that neither group by itself could have succeeded. So some key ingredients in this story are familiar from the current wisdom of tech companies like Google and FaceBook: let talented people follow their curiosity, use space (physical and social) to elicit strong positive collaboration; don’t try to over-manage the process through a rigid authority structure. Within a very short span of time some curious and wonderful reversals, orthogonal movements, began happening: the concept itself became an experimental system; the experimental system became a technique; the techniques became concepts. These rapidly developing variations and mutually referential changes of level were integrated into a research milieu, first at Cetus, then in other places, then, soon, in very many other places. These places began to resemble each other because people were building them to do so, but were often not identical. (169). And, as other knowledge-intensive businesses from Visicalc to Xerox to H-P to Microsoft to Google have discovered, there is no magic formula for joining technical and scientific research to business success.